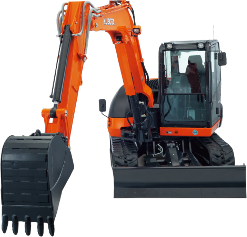 Excavator hireOur recent major investment in Kubota and CAT excavators brings our total number of top quality excavators to well over 150. 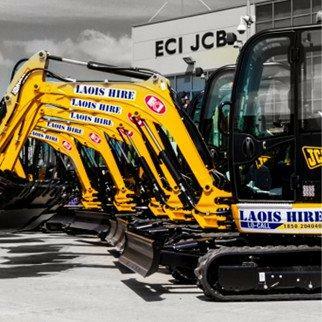 Our fleet includes micro, mini, and standard excavators. 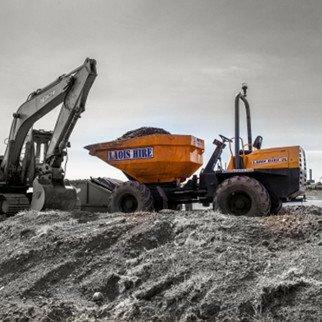 Dumper hireOur large investment in dumpers in recent years, provides today’s customers with the very best products at the cutting edge of technology. 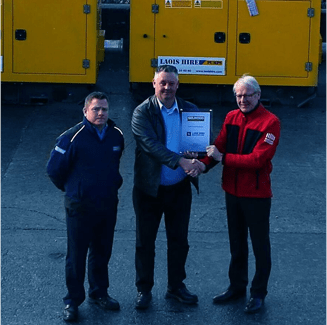 Generator hireOur huge stock of generators range from 100kVA to 1250kVA power solutions. 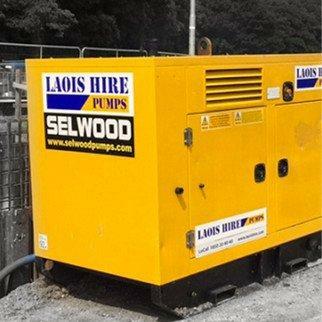 Pump hireLaois Hire are the agents for Selwood Pumps in Ireland. 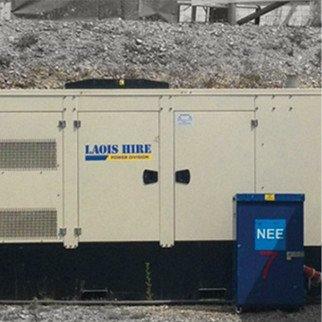 Selwood manufactured pumps set the benchmark in the water, environmental and construction industries. 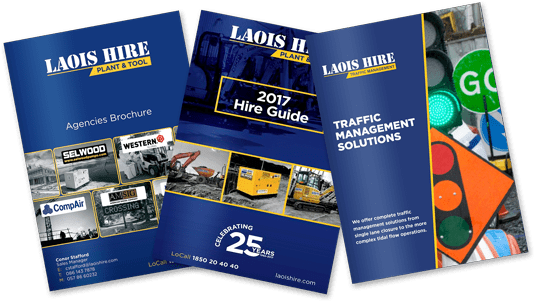 Powered Access hireWe offer a wide range powered access equipment from scissor lifts and telehandlers, to propelled booms. 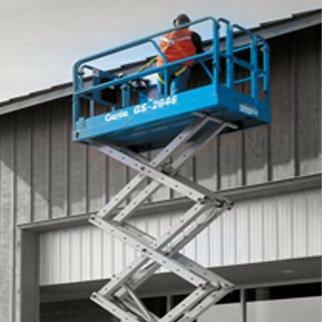 Suitable for all working at height applications. 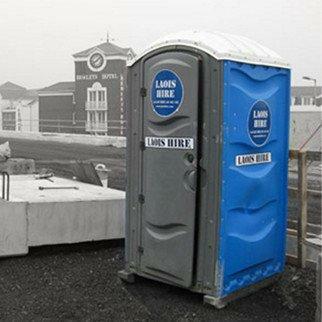 Portaloo hireLaois Hire can also supply the toilet and sanitary needs for large and small scale events and onsite requirements. 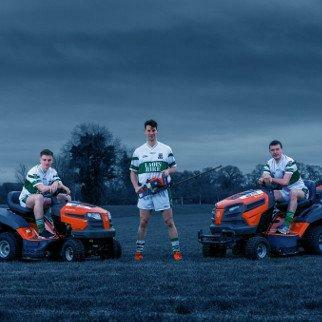 HusqvarnaLaois Hire are agents for Husqvarna. 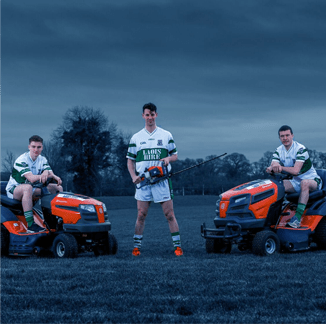 Selling a huge range of garden equipment – lawn mowers, hedge trimmers, chainsaws, and more. 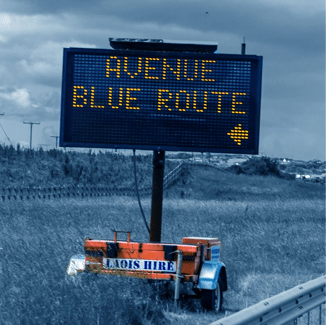 CompairLaois Hire are the new agents of COMPAIR in Ireland. 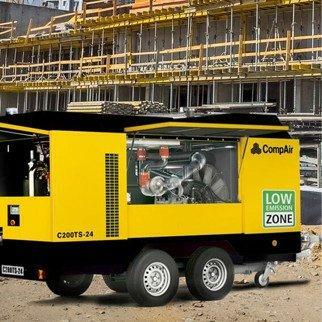 We stock a huge range of portable compressors.